The naturally sensuous Isabeli Fontana is stunning in a vintage-inspired shoot for WWD Beauty Biz September 2010 issue. Shot by Guy Aroch, photographs from the series are hazy and warmly colored in order to further the retro feel of Isabeli Fontana's styling. 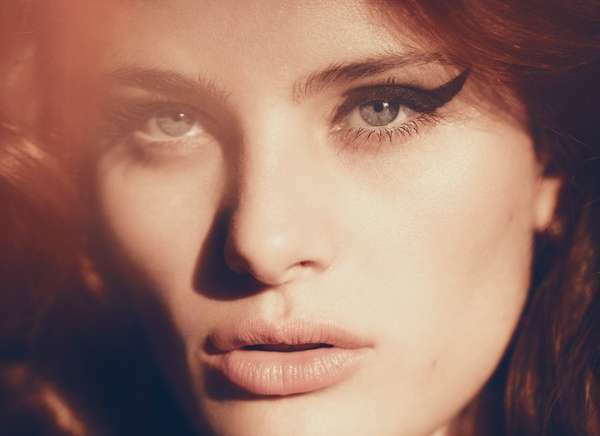 Isabeli Fontana rocks the classic retro look with liquid-liner feline eyes, a pale pout and teased hair. Topped off with simple clothing and her own natural beauty, the shoot makes for a groovy composition.